The passing of national signing day won’t stop Tom Herman and the Texas Longhorns from adding talent to the football team in form of graduate transfers. The top target on the board is former Rice Owl offensive tackle Calvin Anderson. The Austin-native is set to visit Oklahoma this weekend before deciding between the Sooners, Texas, Michigan and Auburn. Anderson is a 6-foot-5, 300-pound product of Austin. He finished his high school career at Westlake and went unrecruited, signing with Rice as a two-star product. He was considered the No. 189-ranked offensive tackle in the 247Sports Composite. Rice was his only offer. Texas struggled along the offensive line throughout the 2017 season because of injury. Left tackle Connor Williams declared for the NFL Draft, leaving an All-American sized hole at left tackle entering Herman’s second year in charge. 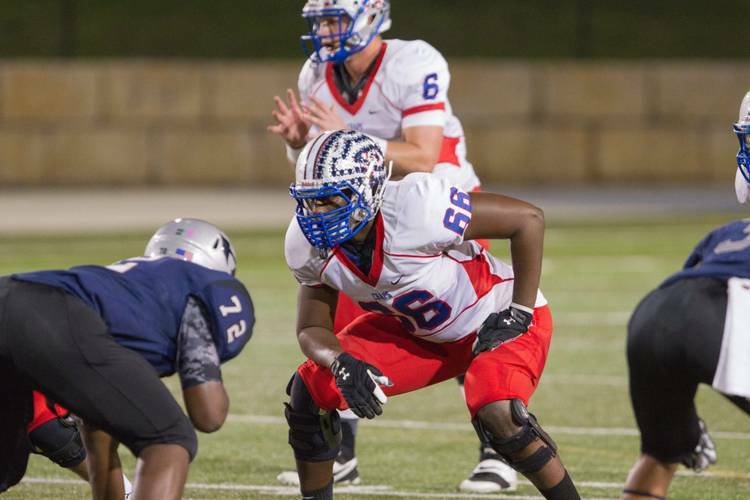 Anderson would immediately compete for the starting spot at left tackle if he chooses the Longhorns.